As a filmmaker, Emilio Estevez is the sincerest kid in the pumpkin patch, with never a hint of hypocrisy or cynicism — and he wears his heart proudly on his sleeve in “The Public,” an earnest comedy-drama about people looking out for their fellow humans. 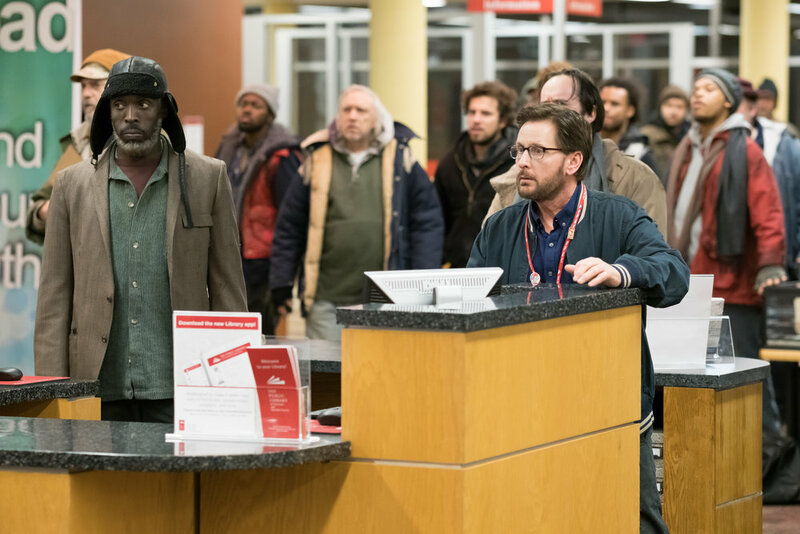 Estevez stars in this movie, which he wrote and directed, inspired by a 2007 essay by Chip Ward, a now-retired Salt Lake City librarian who wrote plainly and eloquently about how public libraries have become de facto shelters for the homeless. That germ of an idea infuses itself in the story of a librarian who is embroiled in a standoff between homeless patrons and the police.